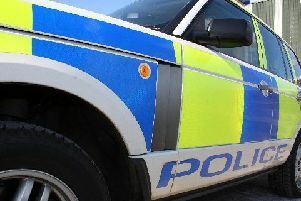 Police are appealing for witnesses after a man was seriously assaulted in Bonnyrigg. The incident happened at around 10.45pm last Saturday in the Dobbie’s Road area. The 53-year-old victim was within a property when three suspects approached and called at the door. The victim answered the door and was immediately assaulted, resulting in him sustaining serious head and facial injuries. Officers were called along with the Scottish Ambulance Service, who took the man to the Edinburgh Royal Infirmary for treatment. The suspects are described as three men, one of whom was said to be wearing gloves. Detective Constable Will Dickson, from Dalkeith CID, said: “This was an unprovoked attack that has left the victim with serious injuries and we are keen to trace those responsible as soon as possible. “I am eager to hear from anyone who may have seen three men acting suspiciously in the Dobbie’s Road area on Saturday night, or who witnessed what happened, to come forward to help with our inquiries.